Çimtaş Group is a leading provider of integrated engineering, procurement, welded fabrication, assembly and installation solutions for top-tier global customers. 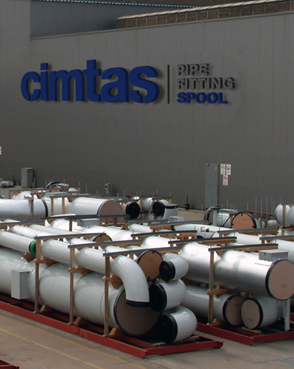 Çimtaş has the vision to be the one-stop, best-in-class and preferred partner on a worldwide basis for demanding construction projects in the fossil, nuclear and renewable power, oil and gas, chemical and pharmaceutical industries. 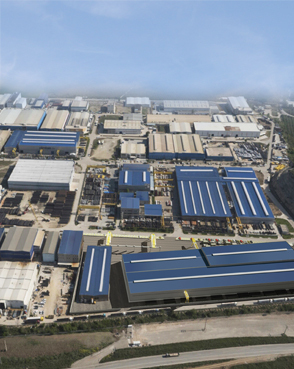 Incorporated in 1973 as a fully owned subsidiary of Enka, Çimtaş Group consists of 7 fabrication shops, six in Turkey and one in China with an aggregated annual fabrication capacity of 100,000 ton. Çimtaş Group leads and effectively implements most advanced technologies and business applications in everything it does. Çimtaş Group is financially successful and stable, and can sustain investments towards maintaining its technological leadership. 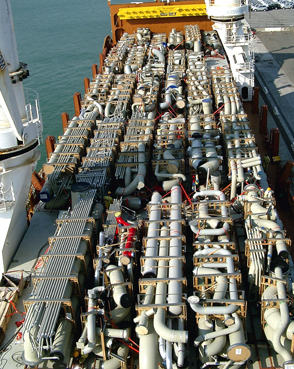 Çimtaş Group with its large capacity, unique capability, varied scope of activities and rich customer portfolio can readily switch and adapt to ever changing market conditions. Çimtaş Group is customer centric with excellent references from the most reputable companies of the world and exports engineered products to four continents. Çimtaş Group is geared to create value for its customers with high skill, top quality, large capacity, integrated scope and on-time delivery at least total cost. To remain competitive and maintain satisfactory margins Çimtaş continuously re-engineers, introduces, digitizes and improves its business processes and aims for higher added value markets, products and businesses. Çimtaş' enthusiasm for continuous change is truly the only thing that doesn't change. 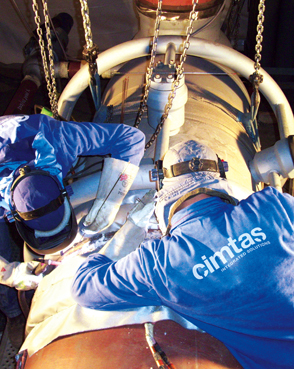 Çimtaş offers multi-discipline career opportunities in sales, marketing, business/product development, engineering, global sourcing, manufacturing, welding, quality, R&D, erection, finance, human resources, IT, project management and general management fields at various domestic and overseas subsidiaries, shops and sites. Çimtaş promotes both teamwork and individual performance and provides a cordial, competitive, challenging and decentralized working environment for all employees. Çimtaş attaches great importance to leadership, self-motivation, integrity, loyalty, long-term employment and provides continuous training and professional advancement opportunities to all its employees. At Çimtaş all employees are seen as members of a big family.